Like all legends, he started humble and unheard of. Luckily, a local convenience store owner took him under his wing. In return, he helped the store owner look after the place and met his wife during that time. Fast forward, he has become a well-known local icon and even started a foundation for animal welfare. 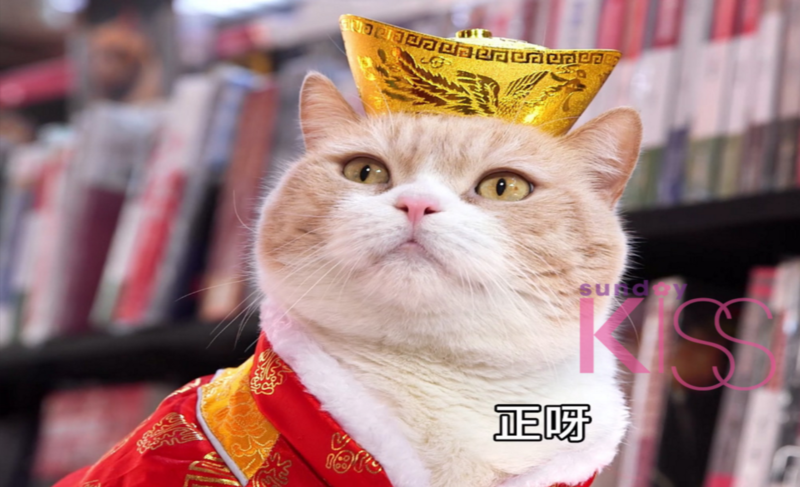 He is none other than Brother Cream, a local cat that has been covered by the likes of CNN International and CNN Money, KBS and SBS of South Korea, Kansei and ANN TV of Japan, Phonenix TV and various local news paper in China and also TVBS, China Time of Taiwan, etc. 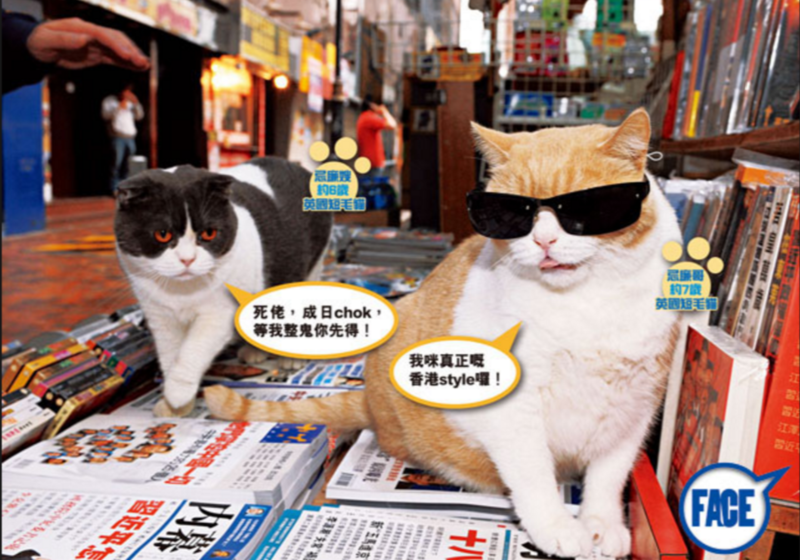 When Ko Chee-Shing (owner of the now renowned 24-hour convenience store in Tsim Sha Tsui) adopted Brother Cream, the British Shorthair cat’s cute and chubby appearance already attracted many fans – both residents and tourists – in the neighbourhood. Among them, Koey and Momo were the most devoted two. 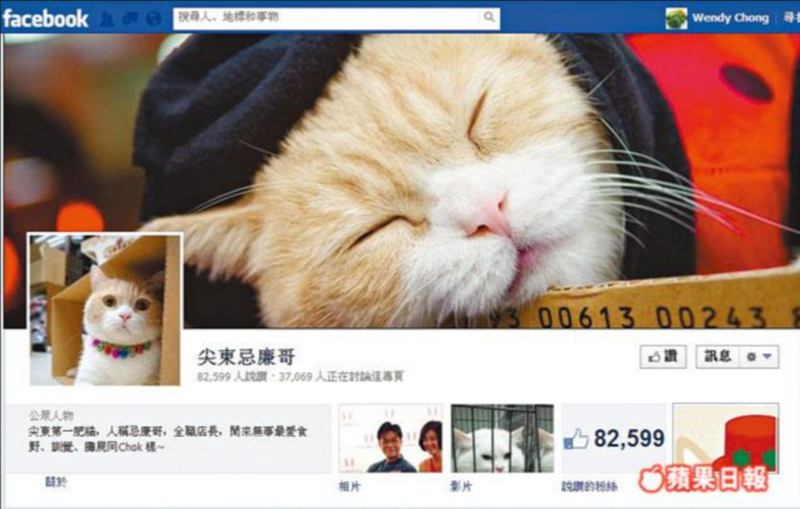 They regularly took photos of the feline and started a Facebook Page called “Tsim Tung Cream Brother” to share their adoration with other fans. Slowly, the page accumulated thousands of fans and Brother Cream has become one of the fastest growing online celebrities in the city. However, he did not get the offline population’s attention until 2012. On 10th July, he was reported missing and his fans volunteered to spread the word both online on Facebook and offline by posting notices in the hope of finding him with the help of people around the area. The campaign indirectly increased the number of fans on Brother Cream’s page and when he was found in a nearby alley 26 days later, fans all over Hong Kong went to the store to congratulate Ko. Some visitors brought Brother Cream cat food, some signed on the store’s wall, and some even cried out of joy. The incident made headlines in major local newspapers and officially turned Brother Cream a household name in Hong Kong. The rest was history – brands like Nikon and Wing On Travel casted Brother Cream in two television advertisement in 2013. In the same year, Ko published two books, Brother Cream in East TST and Cream Chicken Soup, featuring Brother Cream’s photos. A book-signing event was even held with the cat’s paw acting as a signature. 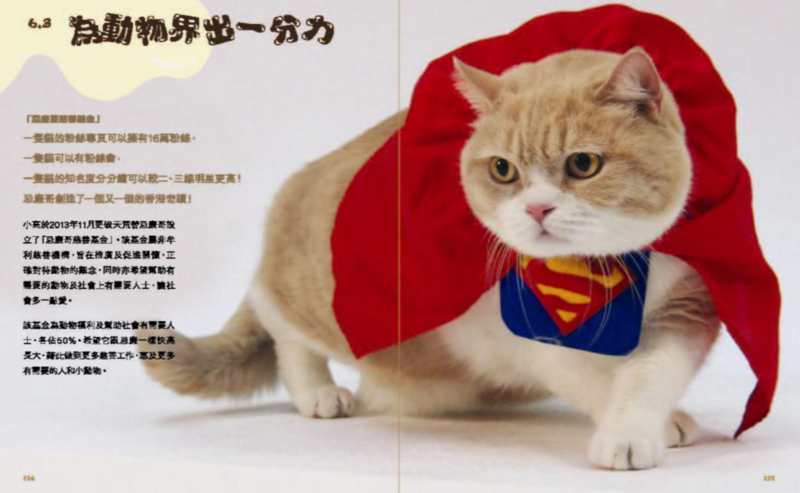 In true celebrity style, merchandises like postcards, bags and cushions have been created with images of the cat so that fans can be with him whenever they want. Since Brother Cream’s disappearance has inspired love and care among many local citizens, the cat (and his owner) set up the Cream Bro Foundation in 2013 to use his popularity to inspire people’s concern about animal welfare. The charity regularly donates food and supplies to animal welfare organizations to help the poor stray animals. Not afraid to speak up for his belief, he posted a status (presumably written by Ko) regarding the missing publishers in Hong Kong in early 2016. He reminded his fans that he was found in 2012 only because citizens at that time worried about him and tried hard to locate him. He also asked his fans not to accept everything that is happening and become numb to unreasonable happenings. To see Brother Cream in real life, you can go to Shop 1, G/F, South Seas Centre, 75 Mody Rd., Tsim Sha Tsui. The cat is off on Mondays and every day from 2pm to 6pm. Still, you may not be able to see the cat outside this timeframe neither as he may not want to go out and may be hiding in Ko’s room. Join us and we will show you the way during our walks!